The Lone Star State’s comptroller reckons its increasingly underfunded pension obligations risk a credit markdown. Texas’ rainy-day fund helps give it more leeway than many states. Others face bigger problems because, as the U.S. economy has improved, their budgets haven’t. The U.S flag and the Texas State flag fly over the Texas State Capitol as the state senate debates the #SB6 bathroom bill in Austin, Texas, U.S., March 14, 2017. 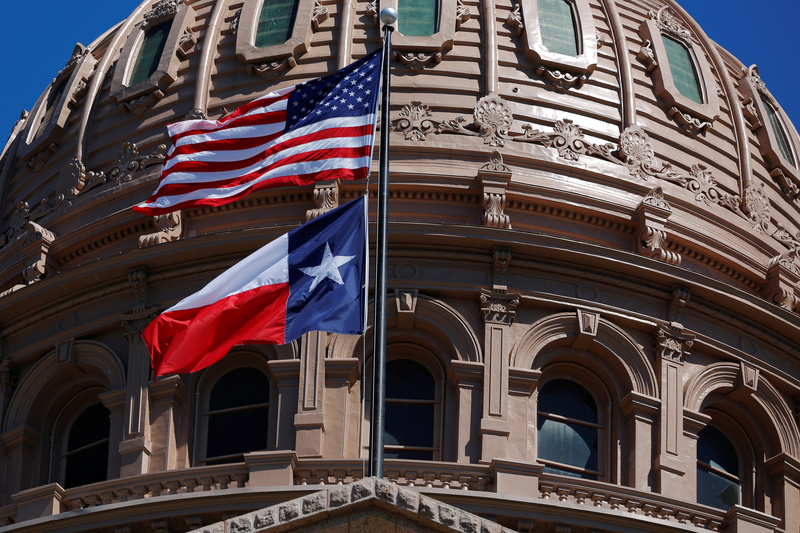 Texas Comptroller Glenn Hegar warned state lawmakers on March 20 that the state could be at risk of a credit downgrade if it didn’t address its pension shortfall and other pressures affecting its budget. During a hearing, Hegar discussed investing a larger portion of the state’s Economic Stabilization Fund, which helps balance the state’s budget when an unexpected downturn or economic event hits, in instruments that have higher yielding returns. Currently the fund is mostly invested in low-yielding liquid investments.